Who can ride the GMHA Trails? Please Note: Member’s Loops 2 and 5 are currently closed due to wet conditions and logging damage. They are expected to re-open on July 10. Loops 1, 3, 4, 6 and 7 (with a bypass) are open. GMHA Members: during riding season (May through October) GMHA members can ride any of 7 permanently-marked loops totaling about 70 miles of trail. Trailhead access from the GMHA grounds is restricted to the many Member’s Days throughout the season. Trailhead access from the Rush Meadow Ring is freely available throughout the season almost without exception. Town roads, trails, and public trail systems can also be ridden, but be sure that you know where town road/trail ends and private property begins. Many old town roads have reverted to private ownership. Additional trail mileage can be accessed by participating in organized GMHA events or contacting landowners directly for permission through the records in your town office. Event Participants: the best way to experience the true diversity and scope of the GMHA trails is to participate in our organized competitive and pleasure trail rides. Courses for these rides include many private trails that are only available by special permission for those event dates. 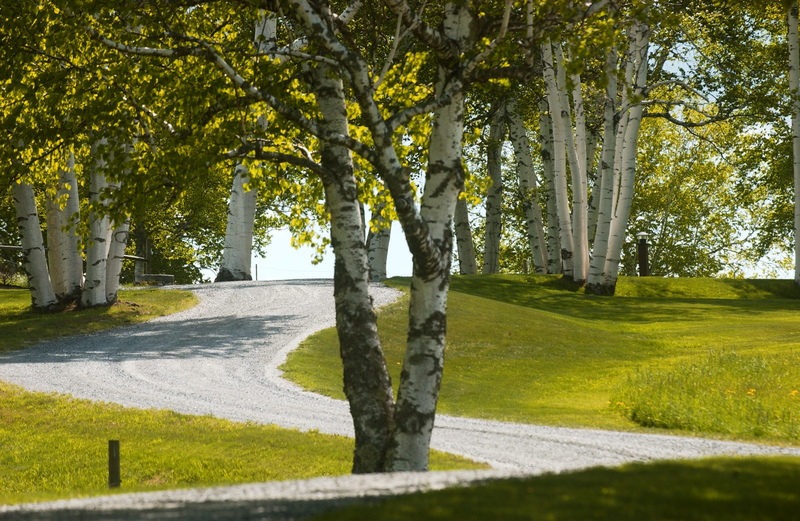 Each season, new courses are selected so riders experience a beautiful variety of trails year-after-year. Locals: are you new to the area? We can help you locate the trails in your neighborhood and introduce you to your horsey neighbors. Contact Chelle Grald, Trails Manager. Where do I ride from? GMHA owns two trailhead locations: our main facility and the Rush Meadow Ring. You are welcome to ride from our main facility as a trailhead on Members’ Days. If it is not a Members’ Day, please use the Rush Meadow Ring and trailhead, just 5 miles down the road. It is available every day with very few exceptions. When can I ride the Trails? Our Member’s Trails are available dawn to dusk from May 26 to October 15 on Members’ Days. To ride the trails on non-members’ days, use the Rush Meadow Ring trailhead. Private trails in our network are available on scheduled event days only. Town roads and public trails are available year-round. How do I find the Trails? 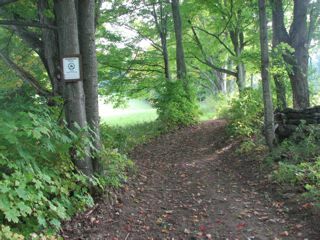 Member’s Trails are permanently-marked. Maps are available to members at our main facility and the Rush Meadow Ring. You can find a map of the public roads and trails here. Most of the public trails are multi-use – be prepared to see hikers, bikers, and potentially ATV’s as well as other horses. Use caution during hunting season and do not ride with loose dogs – our surrounding towns have leash laws. In short, variable. The wooded trails are mostly soft with few rocks but there are rocky/ledgy exceptions. There are water crossings and a few muddy sections. The dirt roads can be hard, particularly in summer. There will be areas of gravel and loose stones. There are many stretches of soft, grassy footing, which can be slippery when wet. Because of the variability, we recommend hoof protection. Not flat. This area of Vermont is characterized by frequent elevation changes. The hills are not treacherous or difficult to navigate, but they are constant. That’s what makes for such beautiful views! If you are new to the area and concerned about your horse’s fitness, we can recommend shorter/easier trail options. Our Member’s Loops are permanently-marked with white numbered arrows. Maps with marker descriptions are available at the trailheads. Organized pleasure and competitive rides are marked with special event markers that are put up the week before the event and taken down the week after. Some of the trails in our network have GMHA signs with the trail name and are also marked with permanent diamond-shaped GMHA markers . This does not mean that these trails are open without restrictions. Many of them are available only at certain times. Please inquire with us or directly with the landowner before venturing onto any trail that is not marked as a Member’s Loop. Members have access to our Member’s Loop Map, which describes 7 permanently-marked loops covering 70 miles of terrain. Here is a map of the roads and trails in the area that are freely open to the public. There are hundreds of additional miles of private trails which are available by special permission to GMHA for our events. To protect landowner privacy, we do not make maps of those trails available to the public. Most of the trails used by GMHA are privately-owned. Maintenance varies according to landowner preference. Some are maintained completely by the landowner. Others are maintained by GMHA. Still others are cooperatively-maintained by GMHA and other organizations. If you see a trail needing maintenance, please contact us. We are happy to investigate the maintenance status and help whenever possible. How do I contact landowners? If you would like permission to ride a certain trail or set of trails but are unsure of permission status, please contact Chelle Grald, Trails Manager. We can’t provide you with landowner names due to privacy but can tell you if the trails are private or public. The town offices of Woodstock, Hartland, Reading, and West Windsor keep the public records of land ownership. They can assist you in finding the lot number and address of each landowner in your area. We can also introduce you to other GMHA members in your area who can help you to meet the neighbors and learn the trails. Are any of the trails suitable for carriages? There are carriage-friendly options, but this will depend on your skill, equipment, and horse. We encourage you to explore the Rush Meadow Ring and Trailhead with its large, grassy driving ring. The area surrounding this ring offers many scenic dirt roads particularly well-suited to driving, along with some trails. There are also driver-friendly options that leave from the GMHA main facility. Please contact Chelle Grald, Trails Manager, for more information.